Memory Pond is based on the idea of a sculptural installation that emphasises connectedness to the site through an integration of the individual components into the total landscape design. Memory Pond received the Victoria and Tasmanian AILA Merit Award for 2003. “I was interested to learn that the general area of Grattan gardens was originally a billabong before European settlement. It was a rich source of food gathering (mussels, fish, eels, duck eggs) and ritual for Victoria’s aboriginal peoples. 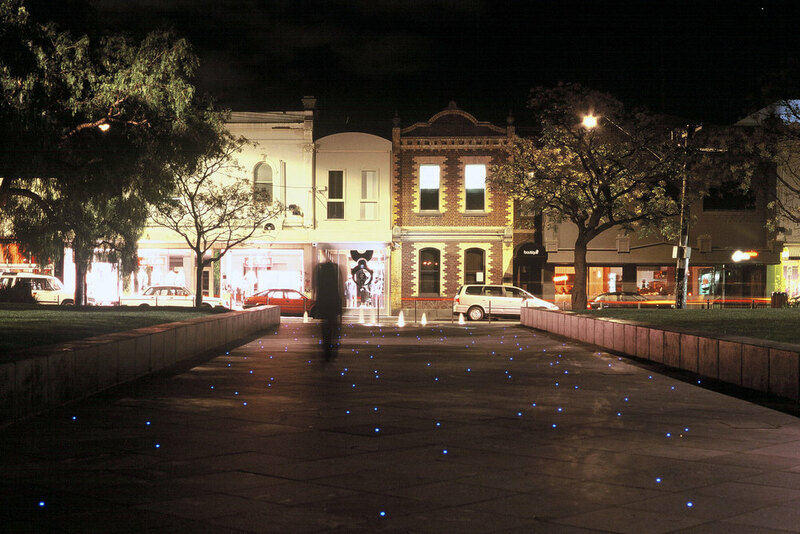 In recent times, a regular market provided a community centre for gathering and exchange and, over the years, the wider area has developed into a lively commercial and cultural precinct. There is a conjunction of the social behaviour of the two food gathering activities, and between the crafts used in pre-settlement, such as fishing scoops made from folding a round mat, and the present day market offering similar indigenous mats and baskets”. Based on water, light and language, the installation acknowledges historical memory and the flow of time. The site is reminiscent of a billabong. The fountains form an association with water lilies drifting on the water’s surface and the paving lights indicate the stars that would have once left their reflection there. 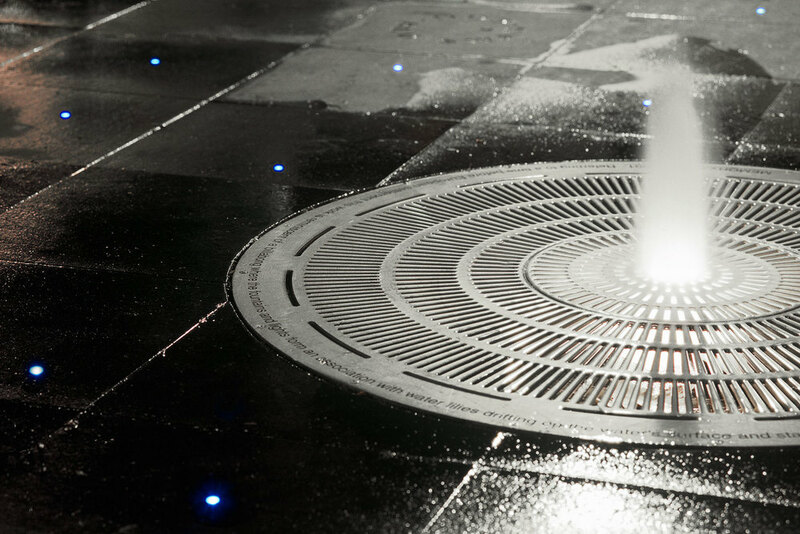 The patterns of the fountains are derived from basket weaving, the bubbling water flows like a ‘well spring’ and the five word phrases, placed around the site, offer moments of meditation on place, action and silence.